The rare garden is complete without tomato plants. Tomatoes are grown by almost all lovers of horticultural farms, and not surprising. It is a culture, rich in nutrients, eating of its fruits is very good for health. 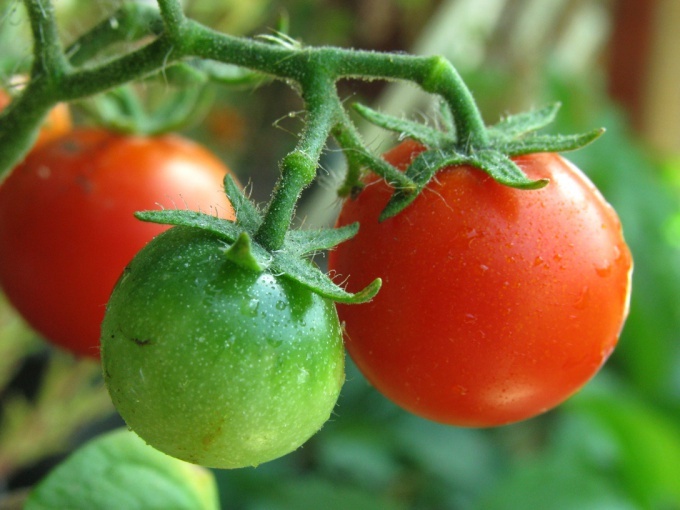 There are many different varieties of tomatoes, but they grow much better fruit and, if you observe growing conditions and to properly water the plants. In order to maintain proper moisture conditions in the garden with tomatoes, one watering a little. You must also create an environment in which the water would not evaporate in a short time, and absorbed by plants gradually. With this purpose, the tomato patch is often placed in a greenhouse or a greenhouse. For tomatoes, the ideal is moist soil and dry air. So water the plants need, not from above but at the root. Aim the water directly at the base of the stem, and a little there to not wash out the roots. Try to keep the splashing water falling on the leaves and fruit. No need to throw tomatoes too often. The best is to observe the frequency of watering approximately every 6-7 days. These plants are able to economize water. Rare watering does not mean that tomatoes need little water, just the opposite. Water they require about 10 liters per 1 square decimeter occupied land. If you grow tomatoes at home, for example, on the balcony, then water them more than once a week. The lands they have less and pour it for a few days amount of water will fail. The best time for watering the tomatoes, like many other plants – this is the beginning of the day, before lunch. The water should be warm, about 20-25 degrees. If the weather is cold, the water should be further heated, its temperature was about 25-30 degrees. If it's hot weather and you can see that the leaves will soon begin to podgadat, pour the tomatoes, even if the period of irrigation had not yet arrived. The liquid evaporates more than usual, so plants may not have enough moisture. From time to time don't forget to loosen the soil under the plants to better retain moisture. This should be done approximately once a month. But mulching can be carried out more frequently, even after each irrigation. This encasing the roots of the tomatoes with humus, straw or leaves. Mulching will allow the ground to retain moisture and to evaporate it too hard in hot weather.